Suffolk Naturalist: Rare moths to be found! Well this weekend saw the moth trap out for the first time this year. Can't wait to start recording moths this year, especially as my lovely wifey bought me a very nice note book to record stuff in, for Xmas. A very nice Xmas pressy from the wife. For those of you who are new to mothing and maybe threw caution to the wind and built yourself a moth trap like mine, you will be doing nature and your local natural history recording unit a big favour. As I've said before, it's through records that we see changes in the environment, and through those changes, we are sometimes able to act and stop unnatural declines in species and their environments. 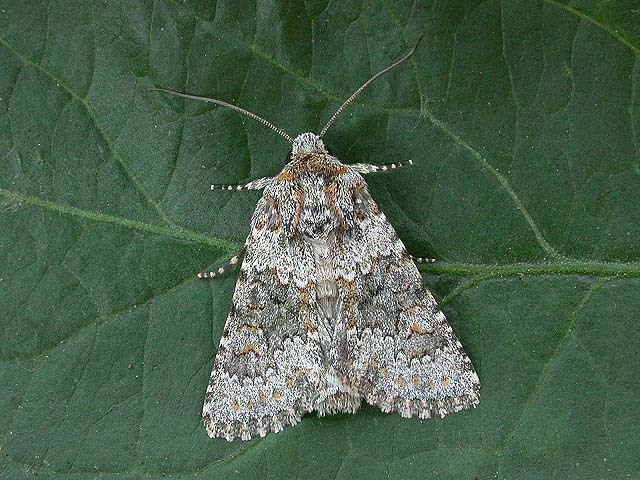 Our observations can also monitor positive change, such a case happened to me last year when on two separate occasions I trapped a moth called a Small Ranunculus Hecatera dysodea which was more or less made extinct in the early part of the 20th century. However, it has become re-established recently down in Kent and is slowly making it's way further northwards. I think my recording was about the 9th in Suffolk last year, so was quite chuffed. Luckily, the second time I caught it was the day before I was going to a naturalists 'taster day' (no, it didn't involve people walking round licking naturalists). I knew that my local county moth recorder was going to be present and I took the moth down to him to verify it. After a few minutes looking at it, he conceded that it was in fact Small Ranunculus, something which has never caught in his trap, and he lives just up the road from me. So there you go, my recording of this species being found in my moth trap goes towards plotting the species' return from extinction. I did take a photo of the little fellow, but unfortunately can't find it now (damn!). However, fear not. Here's a link to UK Moths which shows a great photo of the moth and Les Hill who took the photo, has kindly given me permission to use his photo here. Thanks Les. I also can't wait to find the wonderful large Hawkmoths. I had a few of these last year including a Lime Hawkmoth Mimas tiliae which was a lovely surprise and one morning I came down to find 10 made up of 4 different species in the trap. Fantastic. Every morning is like Xmas when you go down to see what's in the trap, you never know what you're going to get. Lime Hawkmoth Mimas tiliae taken through perspex of moth trap. Four species at once. Clockwise from top right Elephant Hawkmoth Deilephila elpenor, Privet Hawkmoth Sphinx ligustri, Pine Hawkmoth Hyloicus pinastri and Lime Hawkmoth Mimas tiliae. Well it continues, the debate that is. Yes, Fred Titmus left a comment pointing me in the direction of a letter to British Wildlife magazine from Matt Shardlow, Chief Executive of Buglife. In it, Mr Shardlow points out the damage that can be done by Buddleia in the wild and what other people in environment circles think about the plant (all against it). Unfortunately, there is no web link to the letter and I only have a scanned copy. I have sent an email to British Wildlife magazine asking for permission to reproduce the letter here, but they haven't replied. I've spotted a few more things this week, one of which was too close for my liking under the circumstances. It was a Muntjac deer Muntiacus reevesi which run out in front of me whilst driving my truck along the A14 near Wherstead. As you can see from the still from the dash-cam video below, it was a close call and I only just missed it. 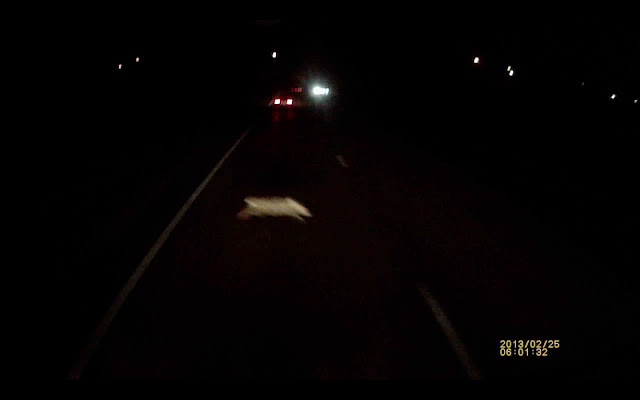 However, the van overtaking me at the time didn't and this video turned out to have captured the deer a second before its sad demise. It may not look close, but this is a 120º wide angle cam and at this point it's about 3 metres away and I'm doing 50mph.